'There is no state by that name; there is no place by that name. That’s a fact. I did not make it up,' says New York City councilman. Jewish New York City Councilman Kalman Yeger became the subject of controversy last week when he denied the existence of Palestine and called congresswoman Ilhan Omar an antisemite. Palestinian activist Linda Sarsour then attacked Yeger by calling his statement "this kind of hate" and "bigoted." 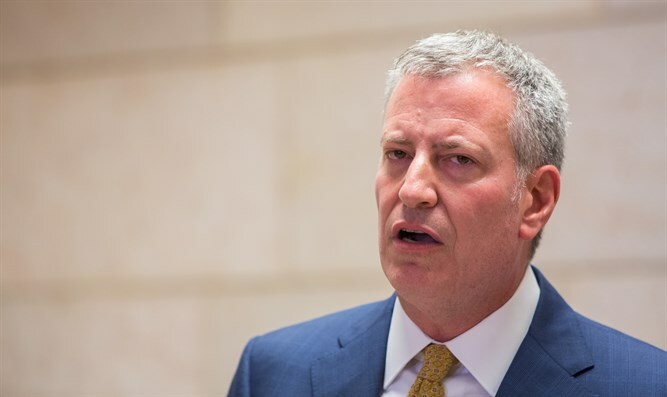 New York Mayor Bill de Blasio joined in the fray on Friday by giving Yeger an ultimatum to apologize or be removed from the City Council committee on immigrant issues. “If you’re asking my personal opinion, yeah, I think someone who has the ability to say that about Palestinian people by definition should not be on the Immigration Committee,” the mayor said on WNYC radio, according to the New York Post. "Now, if he comes out and he apologizes, and says, ‘Look, I was wrong and I realize what I did was hurtful and I’ve got to change,’ different discussion. But if he’s not going to apologize, he shouldn’t be on that committee,” de Blasio said.